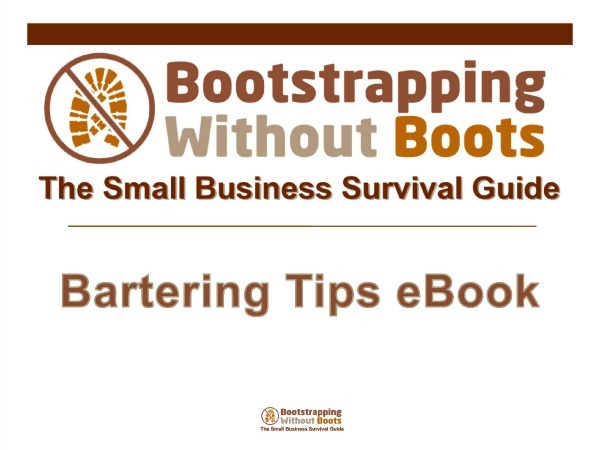 This eBook, along with its sample barter contract template is available to subscribing members of our Bootstrapping Without Boots Community for free and can be downloaded from the link below once you have acquired a membership. You can choose from a 1-Day Membership Trial for $7.95, or become a full-fledged Bootstrapping Member for $9.95/month. After you've chosen your membership level, you'll receive a download password on your Membership Subscription Confirmation Page. If you've forgotten or can't find this password after ordering your subscription, Contact Us, and we'll get you a new one!